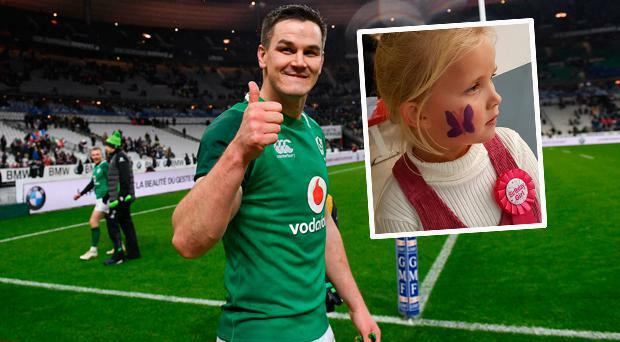 Grand Slam-winning hero Jonathan Sexton is auctioning off the boots he used to score his incredible Six Nations drop goal in a bid to help a little girl walk normally for the first time. The father-of-two agreed to hand over the boots he wore when he scored a last-gasp drop goal at the Stade de France in Paris in February. 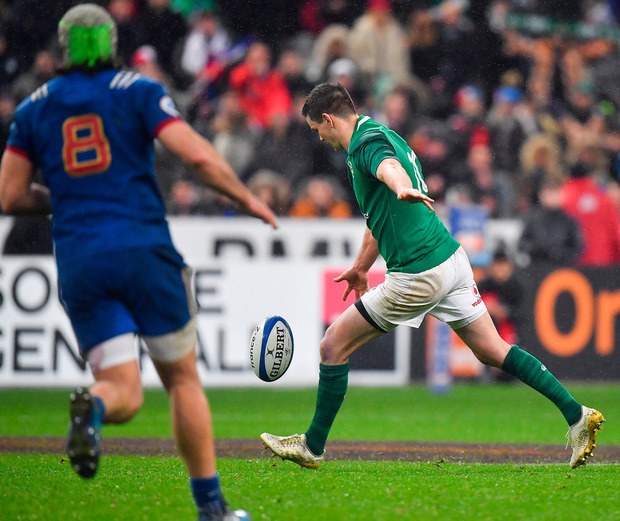 The 42-metre kick ultimately paved the way for Ireland's Six Nations Grand Slam sweep. The boots have already secured an anonymous bid of €10,000, according to Anna's mother Evelyn Browne (41). The mother of four said Anna suffers "the pain of an ageing woman" due to a congenital deformity stemming from cerebral palsy which restricts her mobility, requiring the use of a wheelchair or buggy. But she said her daughter is not eligible for surgery funded by the HSE for several more years, during which time her condition is "deteriorating rapidly," she said. 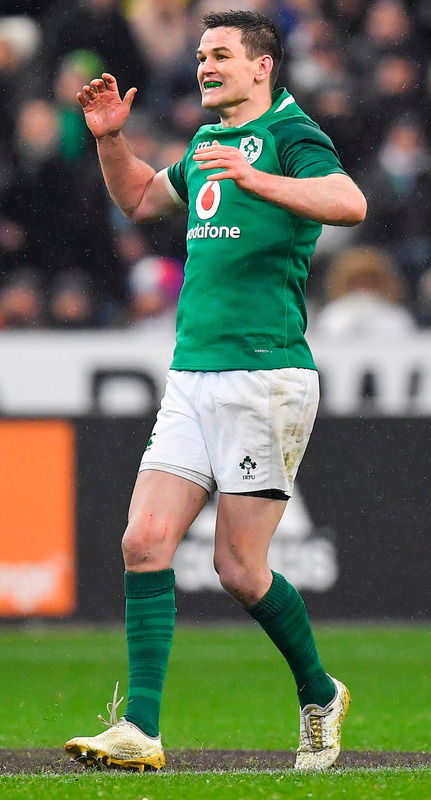 Sexton, meanwhile, said he will hold onto the boots for this season, including the Champions Cup final on May 11 in Bilbao, Spain. "Hopefully Leinster can win the Champions Cup and the boots will go up in value," he said. His generous offer came after his godfather, Irish Independent columnist Billy Keane, recently met the Browne family and was deeply touched by Anna's story. David Kelly IT is just over a year since the IRFU sent their heavy-hitters into Leinster HQ on the eve of the 2018 Champions Cup semi-final to deliver what they would term a request.